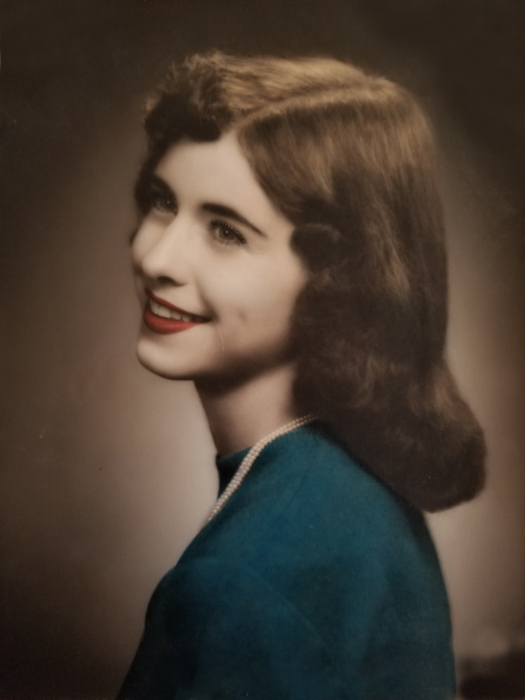 Jeanne Marie Kendall, of Emmett, ID, passed peacefully amongst loved ones on March 13th, 2019. Born to Roland and Clara Stephenson on August 11th, 1937 in Baker City, OR – Jeanne had a passion and spirit for life that will live on through all of those she knew and loved. She and her sister, Verna, attended North Powder Grade School, Willow Creek School, and she graduated from Vale High School in 1955. During her time at Vale High School she was a 4 year member of the Baton Twirling squad, was crowned Vale rodeo queen in 1954 and Letterman Queen her Junior and Senior Year. The quote dedicated to Jeanne in her high school yearbook was “She Walks in Beauty”. Because of her dedication, passion, and spirit, Jeanne immediately became involved in the community and helped established the first Horse 4-H Club in Emmett. As a long-time member of the Black Canyon Riding Club, she was known as a great horsewoman and outrider; often seen riding one of her two favorite horses Polly Starcheck and “High Time” at the ranch or on race day. Jeanne later started the Mountain View 4-H Club and ran it with her husband Andy for 40 years. In 2000 she was awarded the 4-H Distinguished Service Award. Despite her numerous accolades and passions, what mattered most to Jeanne was her family and her community – anyone who knew her, knew that her door was always open for a hot cup of coffee and warm conversation. Her ability to remain stoic and compassionate through triumph or tragedy defined her rich legacy. Jeanne was preceded in death by her son, Michael; daughter, Carmen, and foster son, Bobby. She is survived by her husband, Andy; daughter, Toddi (husband Mike, son Jacob, daughter Aryana); grandsons, Sage (wife Rachel, daughters Michaela and Kinzlee), Remington, Shane (wife Anika, daughter Ella), Casey, Craig; granddaughter, Mindy, and foreign exchange students: Brigitte Gade, Andrea Cowart, Aniko Czinder. Services will be held Sunday March 24th at 11:00 AM at the Potter Funeral Chapel. A Celebration of Life will immediately follow at Willow Grove Estates (4131 W. Central Rd in Emmett).